Between optimal health and disease there is a continuum and as dynamic beings we are constantly moving between these two points. We do not wake up one day suddenly with chronic disease. In the current healthcare model, often by the time we hear our diagnosis of a chronic disease, things have been going wrong for a long time and we have been experiencing the symptoms of the disease process. Even then if our labs don’t yet exactly match the defined criteria for the disease we can not be diagnosed and treated. Lifestyle medicine is yet the strongest measure to prevent chronic disease, as well as to effectively treat it. A key factor in prescribing lifestyle medicine is treating the person as a whole, as oppose to a collection of individual body parts. This is vitally important because most people with chronic disease have comorbidities, which means having two or more chronic diseases and conditions simultaneously. Hence, being treated as a whole, or at least having a team of specialists that effectively communicate on the patient’s case, is crucial for getting to the root cause(s) of the problem and successfully treating him or her. WATER: Majority of our body is made up of almost entirely water, but there isn’t enough emphasis even in the health circles on the importance of adequate hydration. Unlike with food, the maximum time that we can go without water is around a week, and under extreme heat this time can be even less. Every single living cell in our body needs water for its functioning. Water acts as a lubricant for our joints, it helps to regulate our body temperature (through sweating and respiration), and it allows us to eliminate waste and toxins from of our bodies. Drink water from a good source. Yes, the source of your drinking water matters. The same applies to the water that you bathe in. Depending on where you live, your tap water might not be the best source of drinking and bath water. Good quality water and shower filters are one solution to this problem. Another is sourcing springs nearby, or purchasing water locally. To find a nearby natural spring check out http://www.findaspring.com/, and make sure that the water is safe for drinking purposes. FOOD: There are countless and at times overwhelming number of resources on diet and nutrition. My goal is to touch upon and expose you to some simple and basic factors that can have a powerful impact on your health. 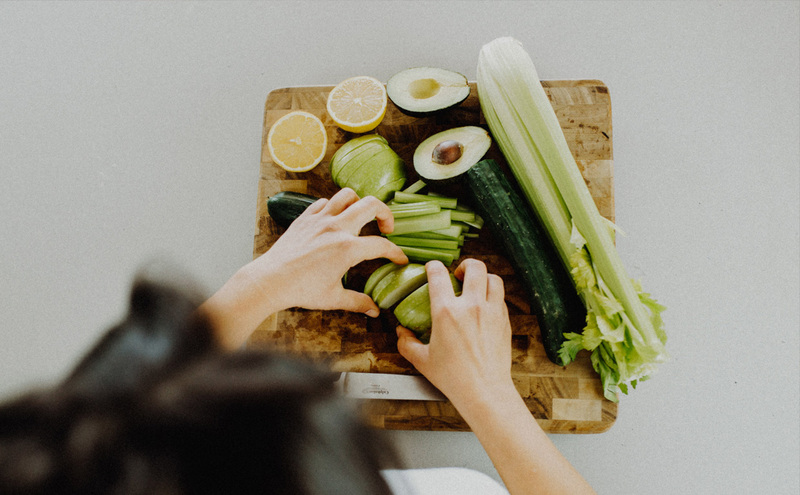 Considering food is a source of fuel for the body, providing the proper fuel is crucial for optimally running our engine — a clean fuel sourced from whole nutritious foods. But food goes much beyond being just a source of fuel for the body and is also information for our cells. What we choose to put into our mouth can impact our genetic expression, our mood, our energy, our cognitive and physical performance along with the health of our planet. Eat slow, and chew your food thoroughly. We spoke about the benefits of this practice in my last article MINDFULNESS PRACTICES — SIMPLE YET POWERFUL. MOVEMENT: And now onto one of my most favorite topics — movement. I am not just talking about exercise but actually moving our bodies. Our bodies are naturally designed to be moving in a way to develop a rich and dynamic movement vocabulary. “The body will become better at whatever you do, or don’t do. If you don’t move, your body will make you better at not moving. If you move, your body will allow more movement”. Ido Portal. SLEEP: Sleep is perhaps the most undervalued aspect of health. We see it as a waste of time or something for lazy people. Some of us even feel guilty for getting a full night of restful sleep. I personally have gone through most of my life not giving myself the permission to get enough sleep. I would constantly cut from my sleep to stretch my day and do more, but I have learned that no amount of supplementation, exercise, and good diet can make up for chronic sleep deprivation. Our bodies heal and regenerate during sleep. It’s during a deep and restful night of sleep that our brains get to process the waste and detoxify. Sleep is crucial for brain health, for proper functioning of our immune system, for preventing excess release of stress hormones, for regulating our blood sugar levels and energy and much more. Sound sleep is pivotal to both mental and physical wellbeing. Sleep better using morning light exposure. A good night’s sleep begins with how you start your day. Exposing yourself to natural sun light during the day is extremely beneficial. Natural sun light or day-time blue light exposure will increase the production of the hormone serotonin, which independently plays a role in regulating your sleep-wake cycle. Serotonin is also the precursor to melatonin — your sleep hormone. Serotonin is used by the pineal gland to produce melatonin. Hence, natural light exposure can also enhance your melatonin levels. Sleep away from technology and adopt a bedtime routine. Shut off your technology 60-90 minutes prior to your bed time and adopt a bedtime routine. Being exposed to the blue wavelength light right up until bedtime (although important during the day) can interfere with sleep. It lessens the amount of melatonin being produced. By being attached to your devices all day long and into the night, we continue to be stressed and anxious and consequently more alert when in fact you should be relaxing. Having a bedtime routine that involves shutting off phones and computers 60-90mins prior to bed, using red light or candle light, taking a warm bath, listening to relaxing music, and creating a dark and cool sleep environment are critical to good quality sleep. Dr. Chatterjee has a very valid point when he said: children have nighttime routines and that’s wildly accepted. What makes us think that as adults we do not need a nighttime routine?